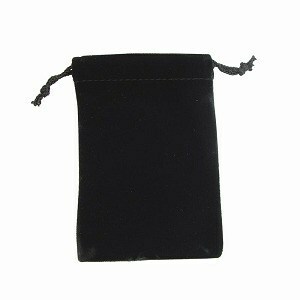 Obsidian is a strong grounding stone and is known as “the protector”. It is said to “mirror one’s soul. 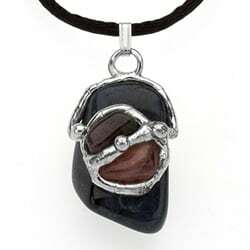 This stone brings about objectivity, dis-attachment and is centering. It reduces fantasy and escapism. 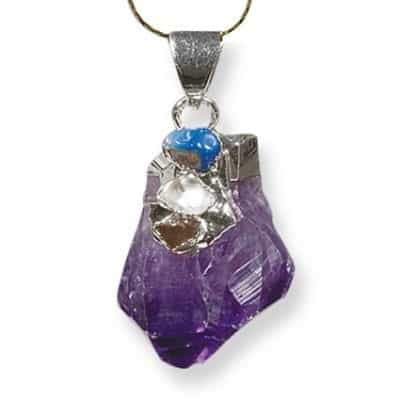 Amethyst is the color that you see in the sky as twilight transitions into night. 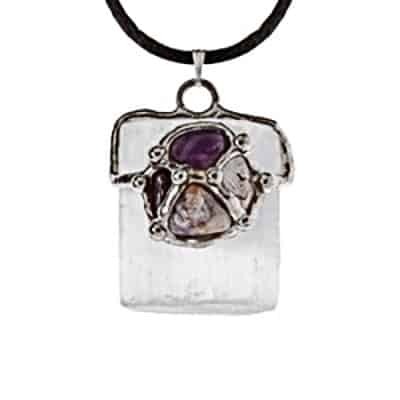 Amethyst takes you on this transition from the magic time of dusk to a conscious shift into a different place, enhances psychic abilities, imagery and mind quieting. 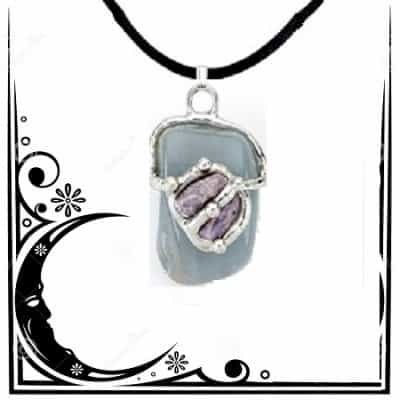 Wonderfully designed, the new moon drop is created during the peak energy of the New Moon, therefore, creating an amulet that represents birthing new ideas, intention and seeding new ventures. This is also called the dark of the moon. 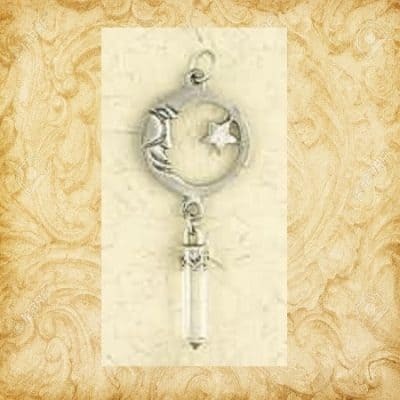 A new moon marks the beginning of a major new cycle in your life.